From the hot runways of Milan to the mean streets of New York City, the infamous red-soled shoes are a definite indication from several Louboutin collections. The French designer paved the way for many shoe fanatics, and crossed the barrier to introduce men’s shoes. 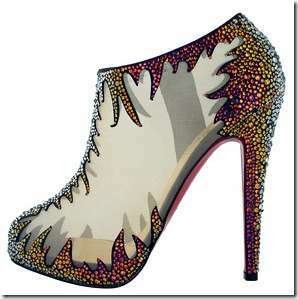 From his ultra ruffled shoes to lingerie inspired shoes, all Louboutin collections generate such a loyal following. The recent collaboration with Marchesa gives Louboutin the supreme touch of couture on every runway.